Iowa has long recognized the importance of music education in its public school curricula. Most former high school band members will recall practicing for marching band in the hot summer sun and the rewards of a job well done when hearing the applause of the audience after a concert band performance. 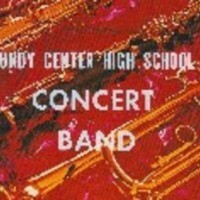 Included in this performance from 1965 of the Grundy Center High School Band, conducted by Mr. Charles Lehr, are pieces that feature the trumpet and woodwind sections of the band. The University of Iowa Historic Sheet Music Collection gathers together all sorts of music that creates a snapshot of the music Eastern Iowans played and sang in the late 19th and early 20th centuries. A significant portion of the collection was originally housed at the Cedar Rapids Public Library and then dispersed to area colleges and universities upon its withdrawal from that library. The collection is somewhat generic in its scope although it preserves images of music that were popular for the day. Not only is the music of interest, but the cover art work and photographs, along with advertisements, provide a picture of society, fashion, and important moments in history. There are also a number of songs about Iowa, including Way Down in Iowa, the Iowa Corn Song and I'm From Iowa (That Beautiful Iowa Song). The School of Music at the University of Northern Iowa is recognized as one of the finest college music programs in the Midwest. Offering programs at the undergraduate and graduate levels, the School of Music offers many ensemble performance opportunities for students including marching and symphonic bands, numerous choral ensembles, orchestra, and jazz ensembles. The jazz studies program has been recognized at the national and international level for the quality of its graduates and for the many outstanding performances and recordings of the jazz band. This audio collection showcases the artistry of the UNI jazz band in recordings made in the 1980's, 1990's, and today. The Beta Nu Chapter of Phi Mu Alpha Sinfonia, a national music fraternity, began sponsoring an annual jazz concert at UNI in February 1951. The first show consisted of several musicians gathered in the student union, called the Commons, and jamming. 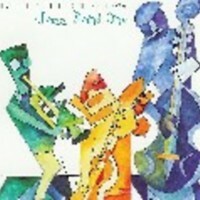 By 1953, the show, called "Dimensions in Jazz", had gained such popularity that two shows were scheduled. Performing at the concerts were jazz band ensembles and choruses. 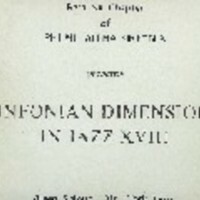 The clips of music in this collection are from recordings made of number of those lively concerts. 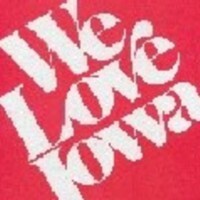 With music and lyrics written by long time Des Moines area musician Bob Cook, the album "We Love Iowa" was published in 1979 as a promotional album for an area Savings & Loan Association. The eleven songs on the album, from the signature tune "We Love Iowa&" to "Are You Goin' to the Fair", evoke the loyalty and love that Iowans have for the Hawkeye state.